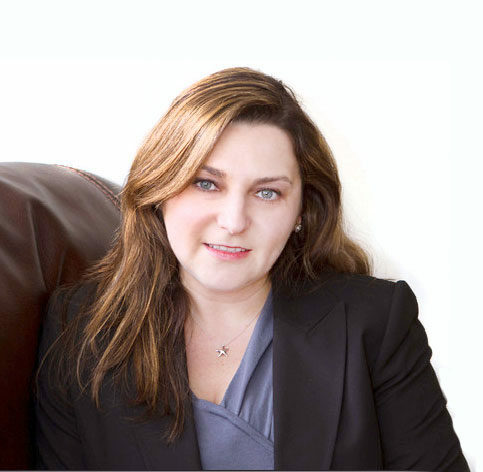 Alina Steinberg Baugh, MS, LMFT, is a Burlingame psychotherapist and Licensed Marriage and Family Therapist practicing in the field of Counseling for two decades. With broad experience in group, adolescents, couples, as well as individual therapy, Alina enjoys providing counseling services both at her private practice in Burlingame of San Mateo County, as well as for companies in San Francisco Bay Area. For those seeking the best in Burlingame and Peninsula therapists, Alina Baugh offers impressive credentials, including article publications in the field of mental health and psychology, such as communication pitfalls and solutions, surviving the holidays, and tips on alleviating stress. She has also been a public speaker on issues such as career management, stress management, parenting, and communications, and held Board Member roles on the San Francisco Chapter of CAMFT (California Association of Marriage and Family Therapists). She was also a volunteer for SPARK, an organization for at-risk youth in the San Francisco Unified School District. Alina offers a 15-minute no charge inquiry call. With most effective treatment approaches in psychotherapy, including Cognitive Behavioral, or CBT Therapy, Family Systems Therapy, Family/Marital Therapy, Relational Therapy, and Solution Focused Brief Therapy (SFBT), Alina has a strong compassion and empathy for her clients. She provides a trusting and safe environment that encourages empowerment, self-discovery, confidence, and a renewed sense of purpose. With Alina’s expert listening capabilities and dynamic feedback techniques, it’s no wonder that her clients, some of whom considered themselves in “a desperate state” before seeing Alina, are thrilled at the peace, balance, and emotional well-being they found through their psychotherapy sessions with her. Comments such as, “she is a great listener and gives me great peace,” “She saved our marriage”, and “Alina opened my eyes to issues I didn’t even know I had,” are a testimony to her transformative skills with clients. Alina Baugh’s significant corporate experience, including executive level positions in human resources and recruitment at Fortune 500 and start-up companies, provides her with direct experience in work issues. This is why many of her Silicon Valley and San Francisco Bay Area clients feel she understands their stress at work issues, difficulties with management, and other corporate challenges. She is proud to provide her clients with powerful coping and stress management skills, and develop goals they can easily and effectively incorporate into their everyday lives. Alina Baugh’s impressive academic credentials include a BA in Clinical Psychology and MS in Counseling, both from San Francisco State University, as well as Executive Development Program from CEDEP, which is part of the INSEAD Business School and Human Resources Management Certification from Columbia University. You can also find her on CounselingCalifornia.com, an exclusive listing of licensed mental health professionals open only to those who have completed their masters degree, at least 3,000 hours of supervised experience gained prior to licensure, and rigorous examinations. Alina Baugh is also verified by Psychology Today, a national mental health professionals organization. Specialty areas of therapy treatment for Alina Baugh’s scope of services include: Addiction, Alcohol Abuse, Anger Management, Anxiety, Behavioral Issues, Career Counseling, Executive Coaching, Depression, Divorce Support, Domestic Abuse, Drug Abuse, Body Image and Self-Esteem, Family Conflict, Infidelity, Infertility, Life Coaching, Parenting, Peer Relationships, Relationship and Trust Issues, Substance Abuse, and Spousal Conflict and Stress Related to Infertility.